And such situation is almost in every instance ... One may ask why Blizzard has done it all ... 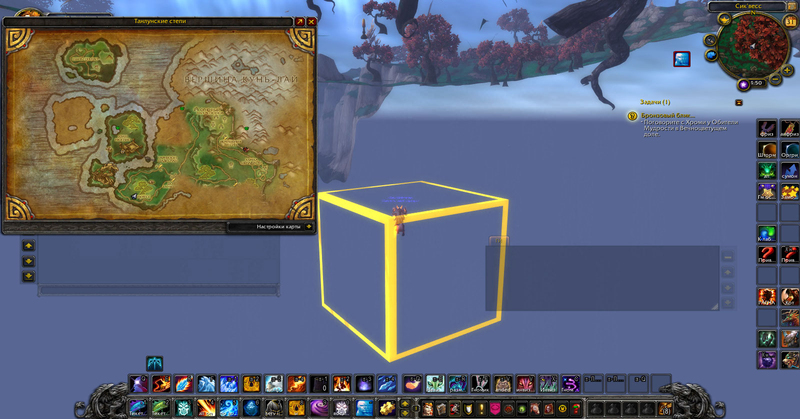 If the developers didn’t make so big "beyond-instance-locations", the client size would be twice as smaller... But they do it intentionally...And if they do, inquisitive human mind tries to explore and conquer, and my mind is not the exception. Fortunately, the rights of "game master" provide such possibility. Now I will tell you about the most interesting and colorful of these places, but which are in the world, in other words, I’ll give you a tour in a written form. Perhaps some of these places will be old, and some will be truly unique. Let’s start with the most eye-catching LK location, Hyjal. 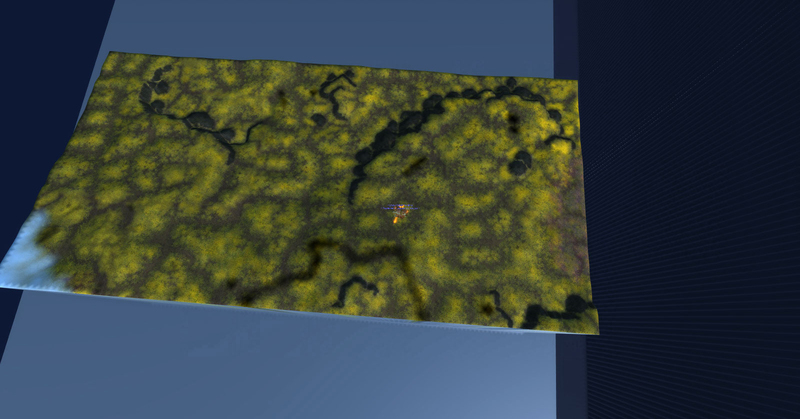 I think, it’s difficult not to notice such a big untouched space on the map. It is very similar to modern Hyjal, but rather, on its northern part. Some places are almost a copy, except for small objects, colors, vegetation and the houses were reconstructed, trees enlarged or just some settlements appeared. But, as you may have noticed, in general location it is very similar to the one that currently exist. When I first got into it in the LK I was surprised by its beauty and grandeur, and I am very glad that it appeared in the game and did not remain "secret location" later, but for the likers of LK it remains a "desirable". 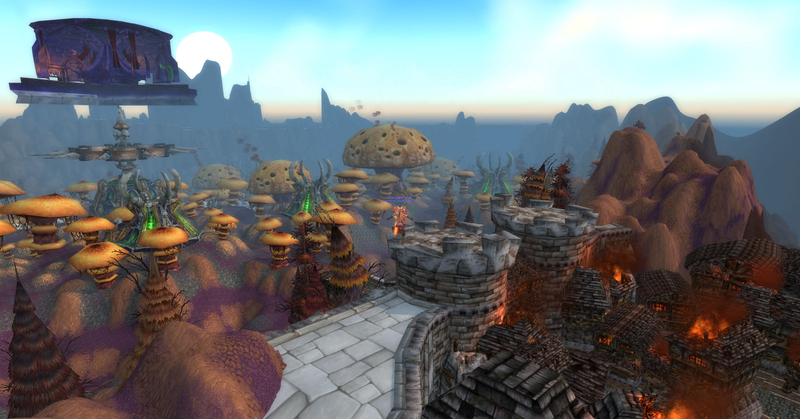 At the upper left are the halls of Naxxramas, on the right is Stratholme is, and the Eastern Plaguelands are between them and it’s all one place, namely, «beyond-instance» of Naxx which is also a hidden location. Zul’Aman has a very similar story. At the times of LK it didn’t exist in the «world», or rather, only the first corridor existed. 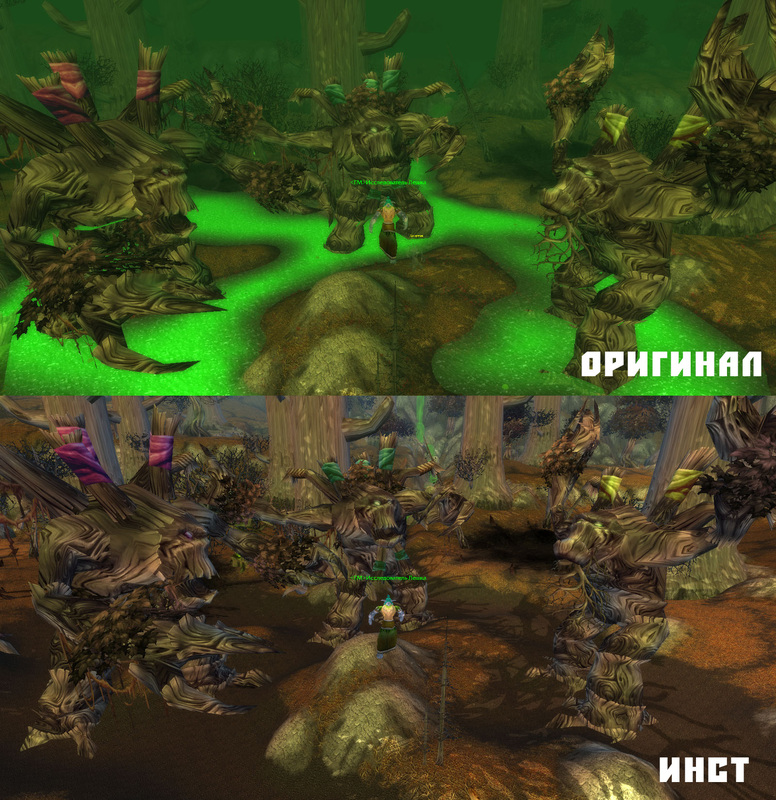 But after Cataclysm when the instance has been rebuilt, its full clone appeared on the real map. There are no any differences between the clone and the original except for absence of water and creatures, although the waterfalls remained, though it’s unclear from where and to where they are flowing. Alas, the role of this area is unclear for me as well, since it is not used but occupies the place on the map and in our clients. I was a little surprised when met there… Chuck Norris. And even three of them! His texture is not a kind of creature. 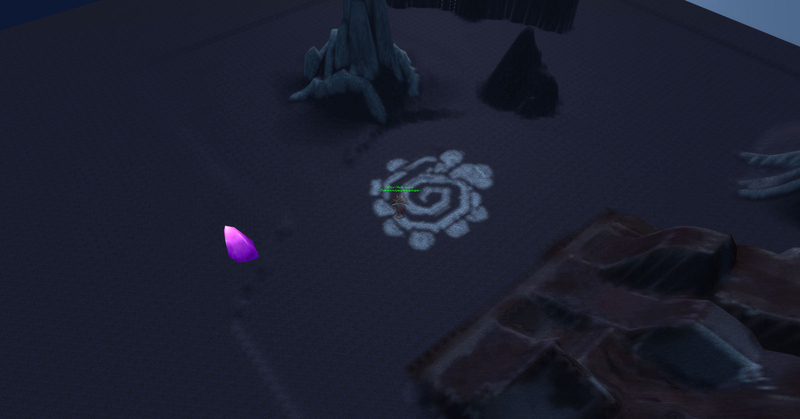 Having flown over this location, I understood that this is a test zone for landscape or something like that, but it’s still unknown why it was necessary to stick it to the game zone… Oh, Blizzard, how mysterious you are! Well, now I’m going to tell you about the isle, the existence of which I am most likely able to explain. 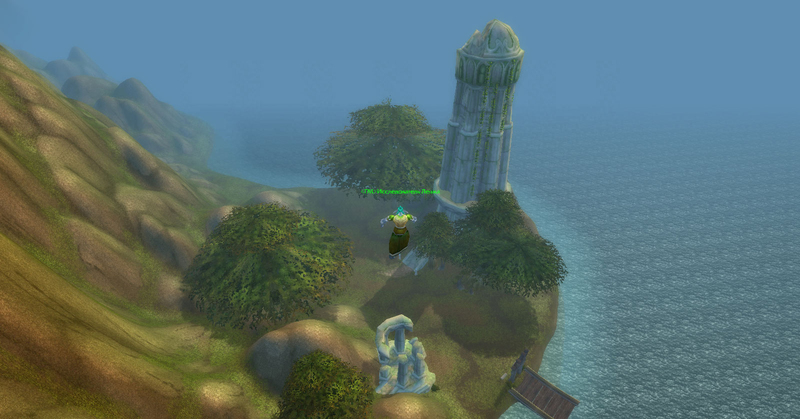 It is located in Pandaria and hidden in very thick fog, which is present in most parts of the island. Without thinking, we called it the "Island of Silent Hill." Since it has no other name, we gave it this one. What is located on it? Firstly, as I said before, a thick fog, secondly,the jungle from Krasarang Wilds, thirdly, toxic puddles and debris from the Dread Wastes, fourthly, huts, as in the Valley of the Four Winds (we didn’t manage to come closer, thick fog spoiled everything), fifth, the cave with the same entrance as the entrance to the Terrace of Endless Spring, well and in the sixth, this magnificent temple, which stands in the center of Vale of Eternal Blossom. 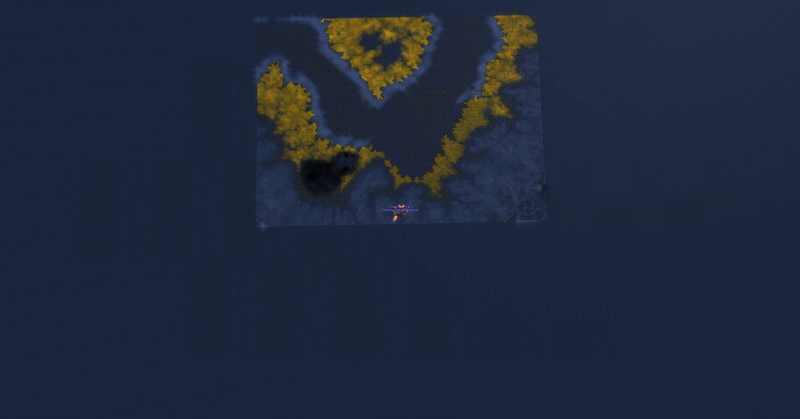 The island itself has the size four times smaller than Vale of Eternal Blossom. So, a small island combined almost the whole Pandaria. 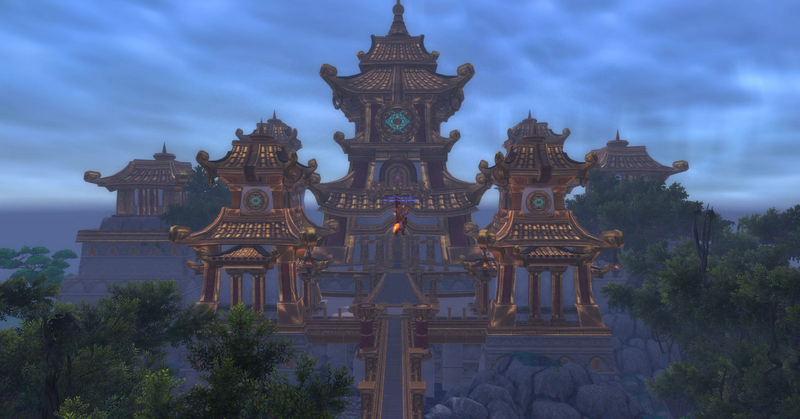 As for its purpose, I suppose it was the first variant of Isle of Thunder, since geographically it is situated in the same place where IT but only in Pandaria itself. But, apparently, for some reason it remained unused. In further articles I will tell you about beautiful places but which are situated in the dungeons, raids etc. or which are unfinished dungeons themselves.